With increasing overseas competition and slower demand for exports, listed Chinese companies are under immense pressure to stay ahead. The common strategy to remain competitive appears to be investing hundreds of millions of dollars in innovation. Analysts estimate that the medical devices market in the mainland will grow to over US$30 billion by 2017. And Shinva, China's largest research and production firm in radiotherapy, hopes to grab a major share. Wang Kexu, vice general manager, Shandong Shinva Medical Instrument Group, said: "Chinese nationals are demanding better medical examination procedures. The government has also made huge investments in developing medical facilities. These provide us with good opportunities for development. The listed company has ventured beyond just manufacturing medical equipment and machines, into designing and installing full radioactive medical suites for Chinese hospitals. Wang Kexu said: "About 75 per cent of our annual investment goes into new technology. And about seven per cent of our expenditure goes into new ventures. We have new products every year." Investing in technologically advanced products appears to be the new strategy for businesses in China to remain competitive. Jinjing, China's second largest glass manufacturer by volume, has already poured 500 million yuan (US$78 million) into designing and manufacturing solar glass panels. Qiao Yingzhu, vice general manager, Shandong Jinjing Science & Tech Stock Co., said: "We're innovating all the time, pushing out new products and phasing out the production of ordinary glass. 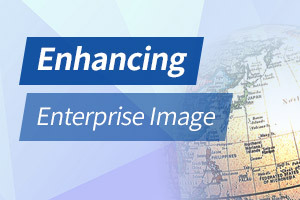 Our biggest market, a portion of it is in China but a bigger portion is in Western Europe. And our business is expanding at 20 per cent annually." 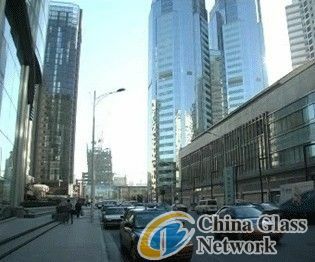 Its other product, known as the 'Low E' glass, which reportedly can cut energy consumption by 70 per cent, is targeted at the booming construction industry in China. The other challenge for Chinese enterprises is domestic competition from companies in the same industry. And companies say, with nearly every enterprise coming out with breakthrough products, its now more than ever, that they'll have to compete on quality more than prices.